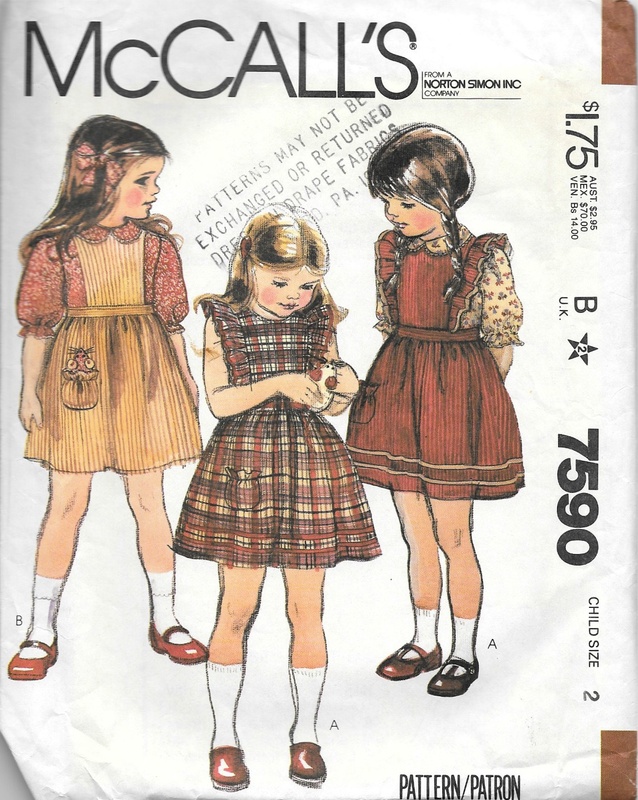 ← Are You a Hopeless – or Hopeful – Dressmaker? For such a short month, February is certainly making itself heard loud and clear here in the northeastern United States. Windy, snowy, bitter, bitter cold. The only way to push through it is to try to have some fun with it. So – in that vein, I am delighted to announce the winner of my February give-away, who is Adecia! Adecia, I’ll be sending you an email so that I can get your mailing address. And a warm (emphasis on warm, mind you!) thank you to all who commented and added so many wonderful additions to my “hopeless dressmaker” list. I found the red gingham in one of my fabric drawers, and I purchased yards and yards of the heart lace when Waechter’s (sadly) went out of business. 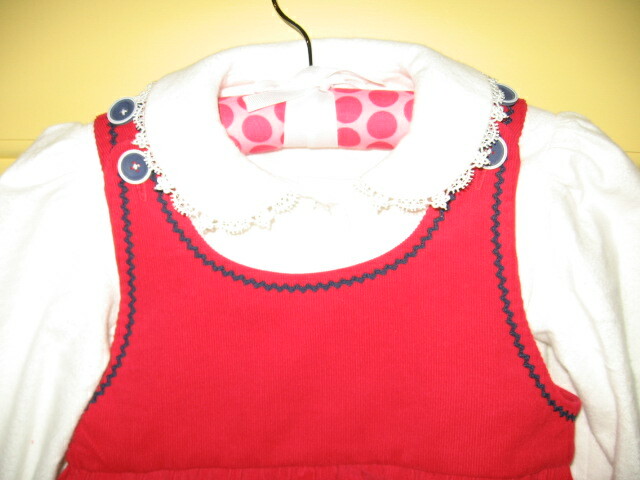 Next, I made her a white flannel blouse, using a pattern which I had used 30-some years ago when I was sewing for her mommy (my daughter). The best view of the blouse is in View B on the left. 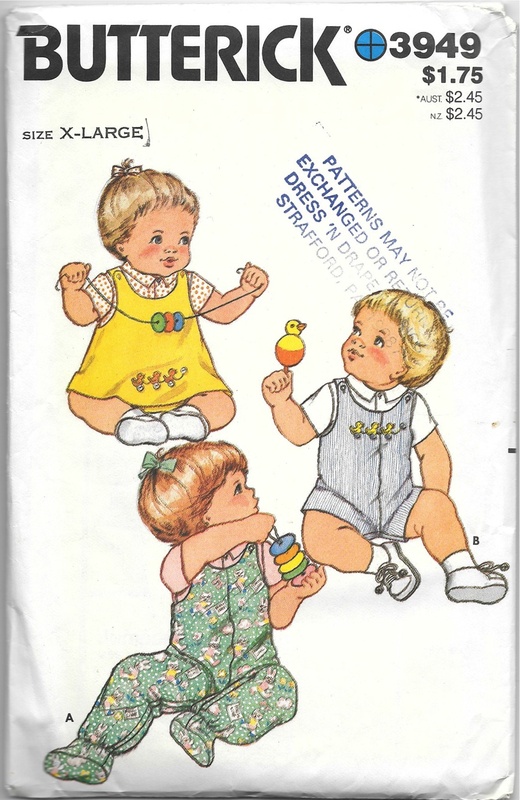 I started with the yoke part of the yellow dress and made it into a jumper. 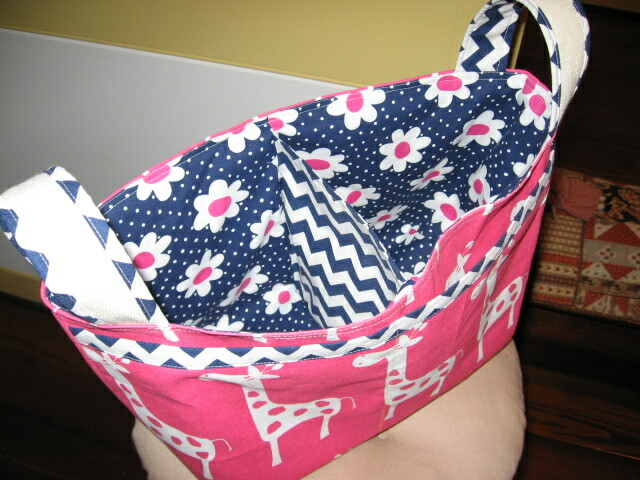 More fun sewing was spent on two baby bags. 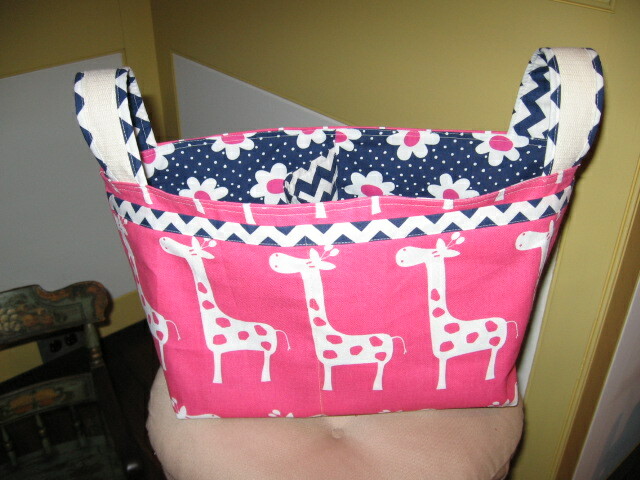 One baby bag was for a new little girl, so I chose a pink and navy blue color scheme. The next one was part of a shower gift for a little baby boy, expected in April. 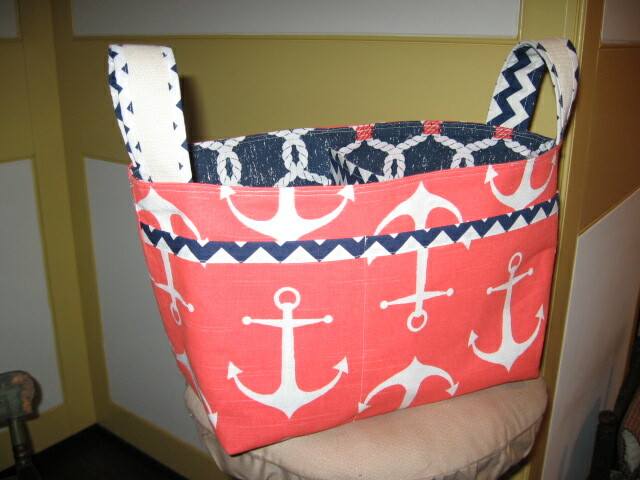 I chose an orange and navy “sailing” theme for this little one. 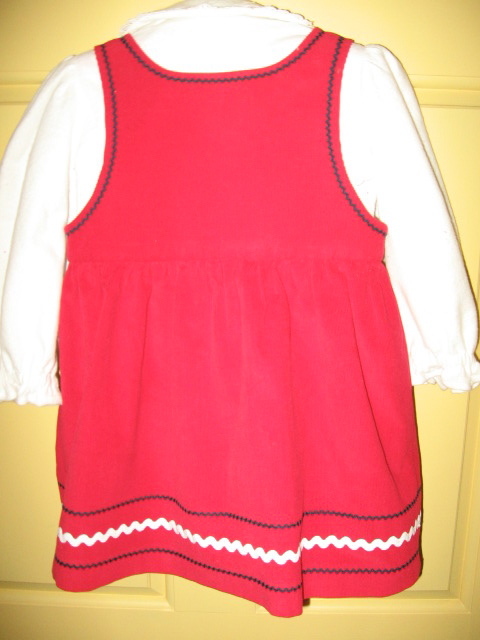 Now it is back to some serious sewing, as I have finally started work on a cashmere wool suit dress. One way to get the weather to improve is to spend these final weeks of Winter sewing with wool, right? By the time I have it completed, the days will be longer and the sun warmer. But if Mother Nature continues her wrath, I may be able to wear it once this year – and that is what I am hoping for (I think)! So cute. You make such lovely things. You have been busy! And I agree sew in wool and summer will come! 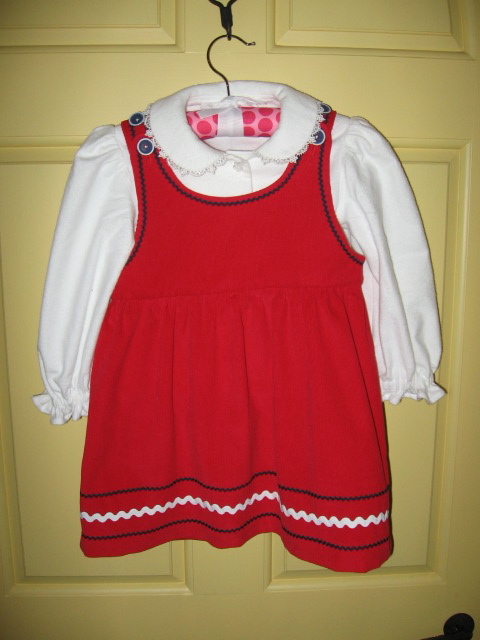 It’s amazing how much more quickly I can make the “little” clothes! And there is some whimsey to them which is a nice change of pace. Wow, you’ve been busy! 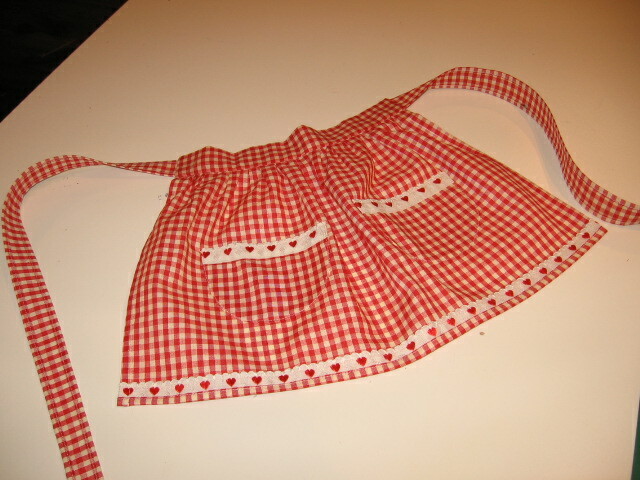 I remember having little aprons as a child, and probably wore an outfit just like that one. The ones you made are adorable. Thanks, Julie! Part of our Christmas present to our granddaughter was a wooden toy kitchen (made in the USA, no less! ), so, of course, she needed an apron to do her “cooking” in! 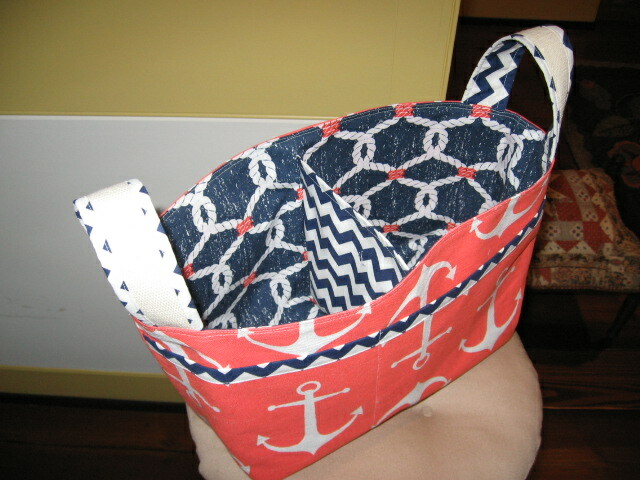 Loved seeing the orange and blue sailing bag on your blog!!! So adorable. My absolute favorite shower gift! Thanks, Janney! What a fun party that was for your beautiful daughter!